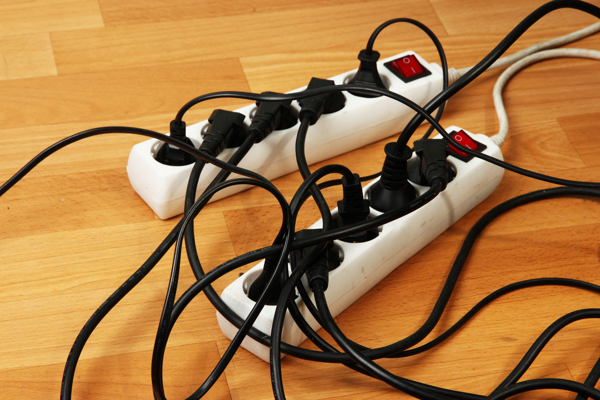 Once you've organized your cords into piles based on what they charge, wrap them up for future use. Admittedly, this is the most time consuming process, but finding the cords, untangling them and putting them into piles now will save you the agony later. With your cords sorted and untangled, it's time to create a system. There are lots of options—choosing one you have the space for and will use diligently is the key. Start by pulling the cables that you use daily. For these, set up a charging station with a dedicated power strip in a central location. Let your kids know that this is the place where the family now charges their devices (and stick to it yourself—lead by example, right?). This one simple step can eliminate all of those super-stressful minutes when you're rushing to get out the door and can't find your charger. Using old toilet paper tubes, wrap your cords up individually and label each tube with the cord contents. For example, if you wrap your HDMI cable and put it into the tube, label it "HDMI for the bedroom." Live Colorful gives a great example of how you can utilize the rolls and a shoe box to keep all of your cords organized and untangled. After you've separated all of your cords, wrap them up and use either a strip of Velcro, masking tape, or even color-coded electrical tape to hold them together. Write what the cord is for onto the tape and put all the cords together in one box or container. They won't be separated, but each cord will be labeled and wrapped neatly. For some people, this is a space saver because it is one box. You might have to dig but there will be no untangling—just reading and searching. You can even use a divided shoe box if digging isn't your style. Using a plastic storage unit with drawers, label each drawer with the type of cables that will be found in the drawer. 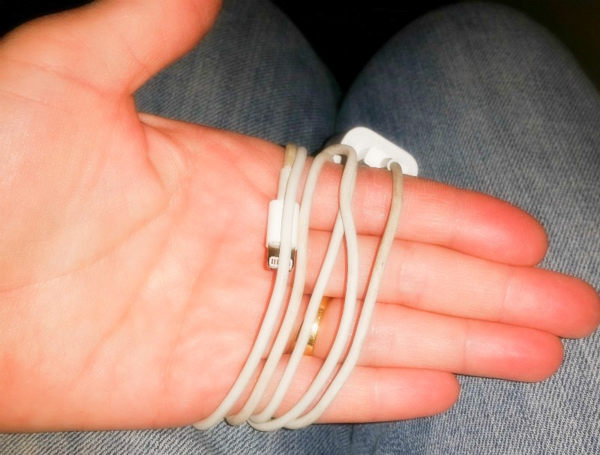 A good example can be found from Terry White's Tech Blog or similar to what Green and Clean Mom did with batteries, only create a drawer system for cords. Whatever system you choose, make sure you can stick it. Meaning, when you get a new tech toy, wrap the cord, label it and put it in the box, tube or drawer to easily find it when you need it! The boxes, tubes and drawers won't work if you don't use the system and keep it tangle free. 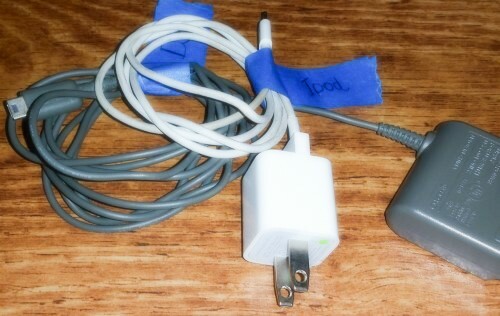 Teach your family members how to wrap the cords, secure them, and label them, and where to put them when they're done. Sommer Poquette is a busy mom who tries to find ways to be organized and save time. She shares this advice for homedepot.com and her blog, greenandcleanmom.org. For other ideas on how to organize your cables and accessories, visit The Home Depot.